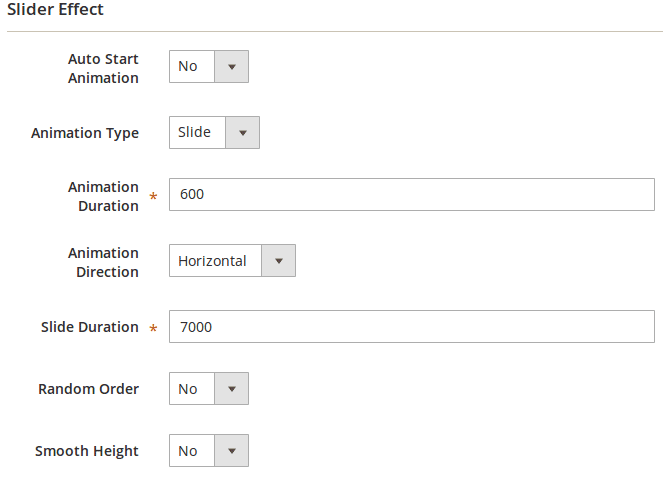 Create unlimited groups for sliders with slider effects and style. 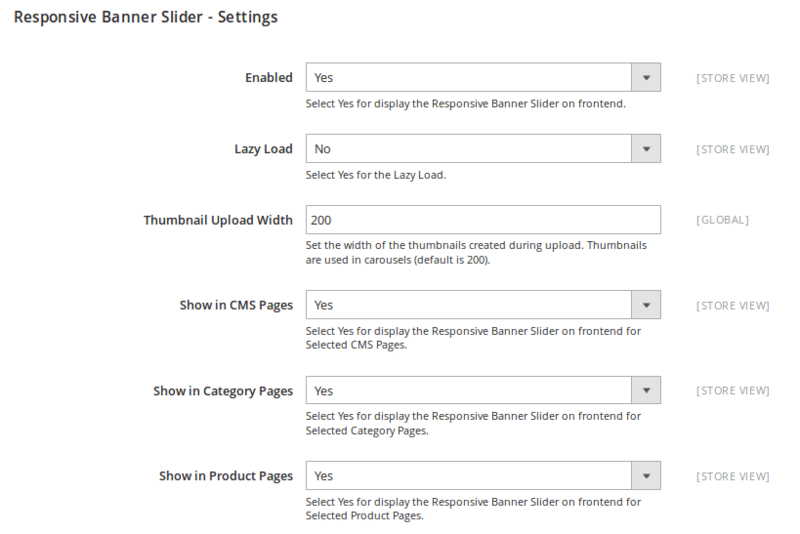 Upload and manage unlimited banners on slider from admin. Apply different kind of effects on sliders such as basic sliders, carousel, carousel navigation, fade, etc. 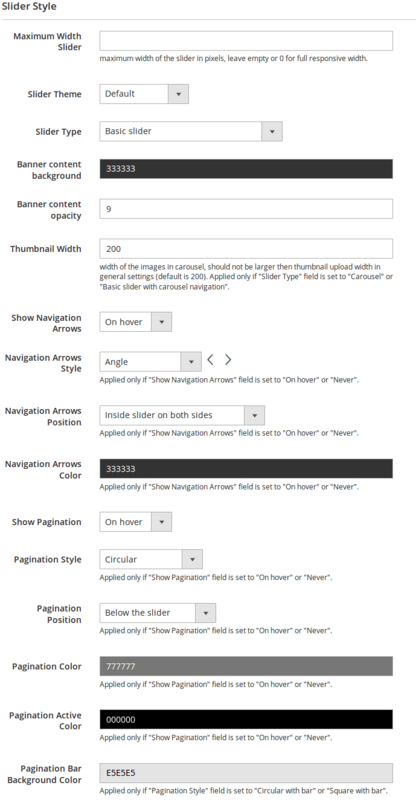 Set slider theme, animation type, animation duration, navigation options, etc. 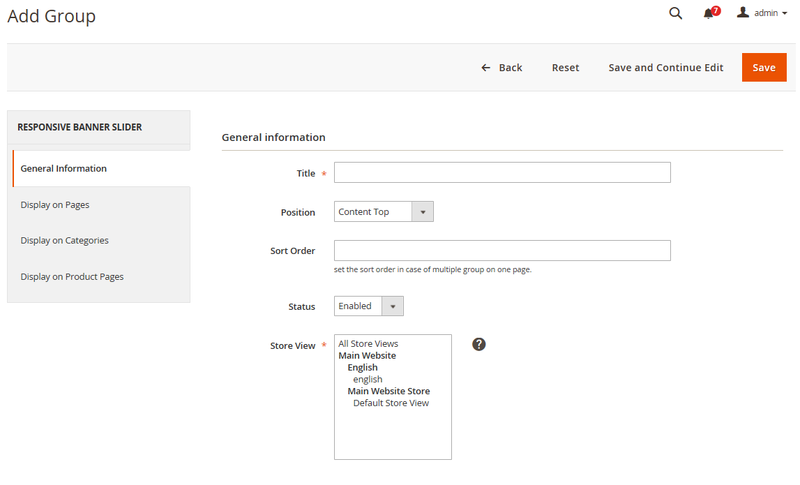 It allows you to show multiple banner sliders on specific store. 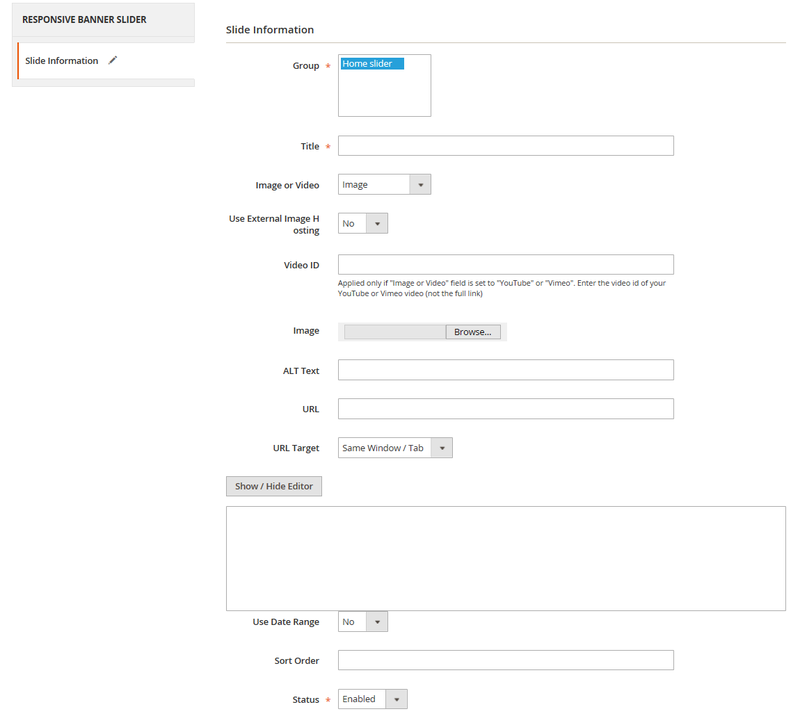 It allows you to show/hide banner's title, content & call to action on specific slider. 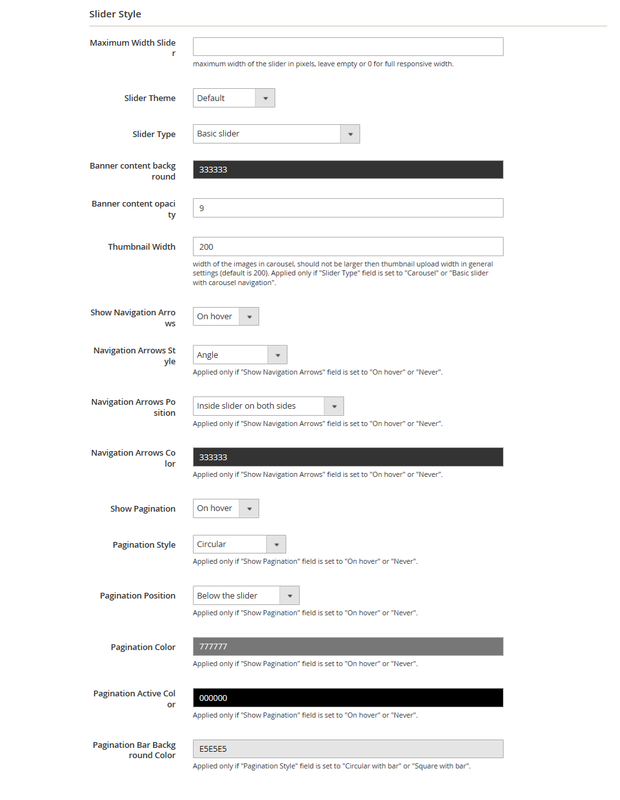 You can specify “From”/ ”To” date when slider elements are enabled. 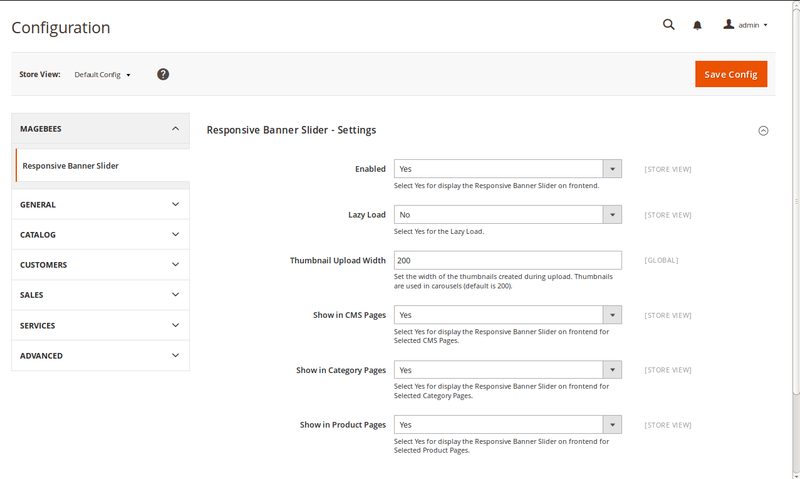 Responsive Banner Slider is very useful extension for setting banner sliders in any page such as CMS page, Category page, Product page based on the selection set from admin. 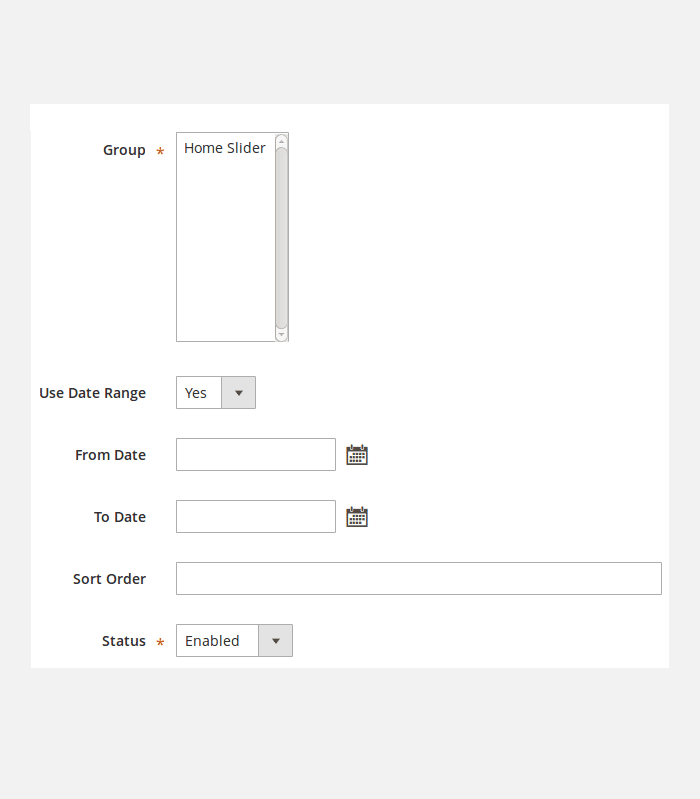 You can create and manage group of slides from admin and show in front-end. 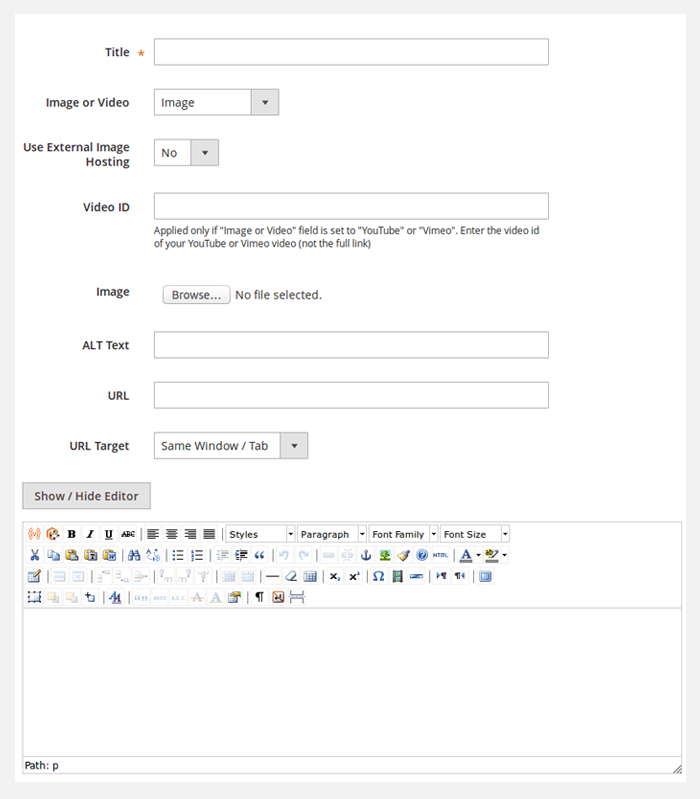 It allows you to add unlimited responsive images and video (Youtube link / vimeo link) sliders anywhere you want. 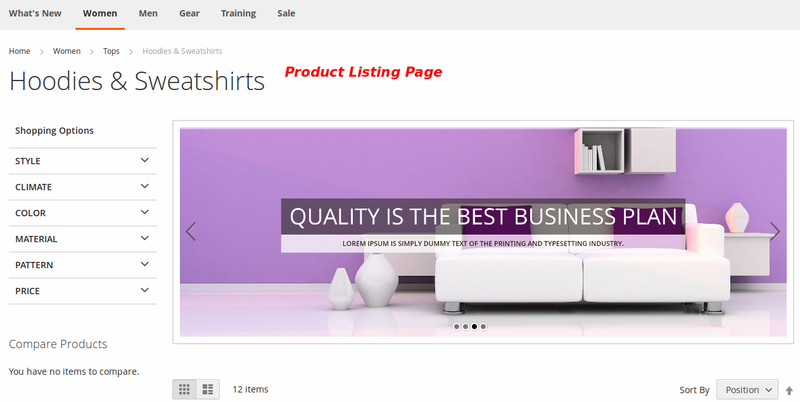 The process of creating groups is very easy and convenient for Magento store owners. Define some general information for the groups such as slider theme, animation type, animation duration, navigation options, pagination options, etc. Set Animation, Animation Type, Animation Duration, Animation Direction, Slide Duration, Random Order and sort order. Set Maximum Width Slider, Slider Theme, Slider Type, Banner content background, Banner content opacity, Navigation and Pagination. You can create slides and manage them easily. Define some general information for the groups such as image, video, image url, content etc. Set title, image, video, url, external image hosting and description. Choose time period for displaying banners. Set thumbnail upload width and also lazy load feature. After adding groups and slides, you can now see the front-end. This extension is very simple yet very effective in convincing customers. You can show many images easily. The different slider themes is something that makes the module stand apart. And, not to forget. KUDOS to the support team! They go over and beyond to help you. This extension works perfect on my store. Quick install and apply my new banners. Happy to use it and recommended others. 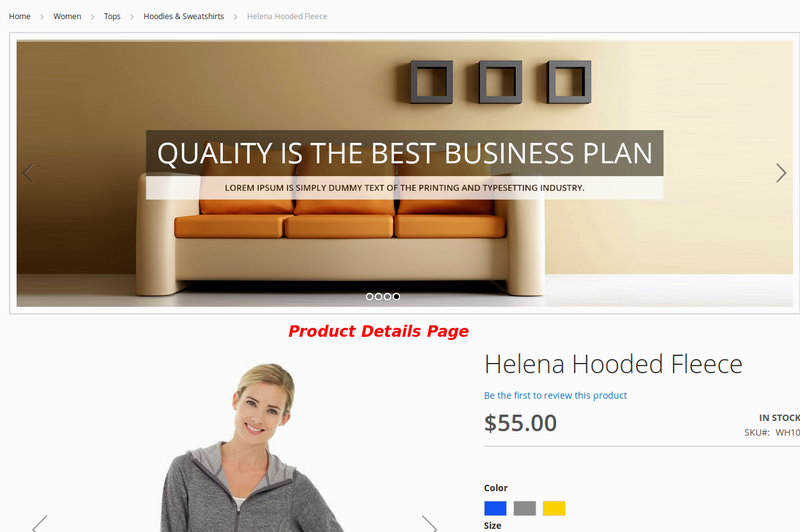 Simply needed to drop by and say a BIG THANKS to your great Responsive Banner Slider! Much thanks to you for the considerable customer support, I will remember your organization when purchasing extensions in the future! One of the most straightforward extension I've introduced. Worked straight out of the crate on my custom theme so positively so thankful to the developers for this. Straightforward and proficient ! Brings about the ideal result and the sliders are extraordinary allurements on any site. Keep doing awesome. Easy to install and configure this extension. I can easily change my home page banners and also apply different effects. Love it. Very simple and very easy to used, fits anywhere on the site. 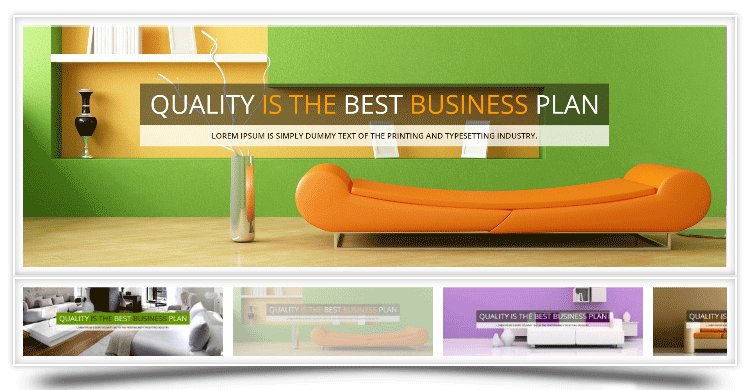 Create multiple banners for multiple areas of our site. Q-1: Lazy load is not working properly. 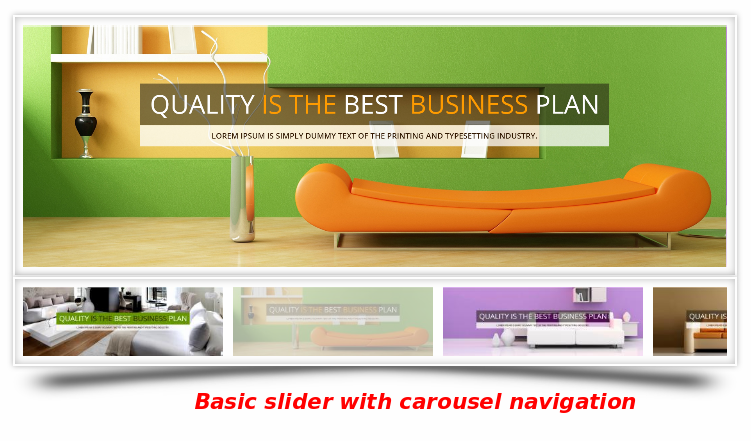 Ans : You are facing this issue because you have set the video in slider and Lazy Load only supports slider images. Ans : Run "php bin/magento setup:upgrade" command to your terminal or command prompt. Please see installation steps for that.